If you’ve ever attempted to cook a Thanksgiving turkey, you know it can be a daunting task. It takes hours to defrost it, prepare it, and then carefully cook it to perfection. Even after you cook it, there is pressure to present it and carve it the right way. It’s not so different than preparing your software solution for what happens after that turkey is gobbled up. Black Friday marks the beginning of the holiday shopping season, and it is one of the biggest shopping days of the year. But, Black Friday no longer means standing in line waiting for your store to open and then charging in to be the first to the sale. In today’s digital age, Black Friday also happens online. 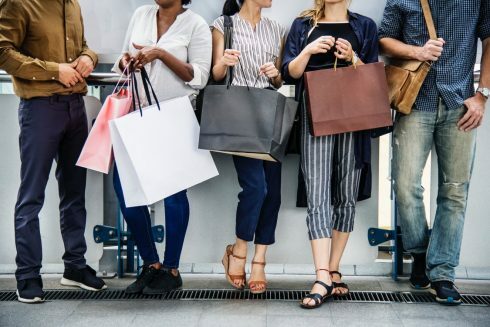 According to Steve Burton, DevOps evangelist for the continuous delivery company Harness, 37 percent of Black Friday shoppers plan to do all their shopping online while 16 percent plan to make it to the store. This puts a lot of stress on developers to ensure uptime and flawless customer experience, because we all know if your website isn’t behaving properly, customers will open a new tab and try to find it elsewhere. Developer teams can use an array of tools to orchestrate this, including AppDynamics for monitoring, Scalyr or Sumo Logic for logging, Jenkins for continuous integration, Harness for continuous delivery, JFrog for artifact repository and Honeycomb for observability. Deployment and monitoring on such a high-traffic day are key, but so is a plan for rollback. Most companies do testing for deployment ahead of the big day, but lack a strategy to deal with failure. Testing for failure in deployment and assuming something will fail is almost as important as being confident nothing will. With microservices allowing developers to deliver new versions and features in parallel tracks, there are more services than ever that can be a single point of failure impacting everything. High-traffic days like Black Friday are particularly hard on DevOps because they require intensive, round-the-clock work to monitor for and address failures. Automating as much of these processes as possible – especially with Black Friday now ballooning into a week-long event – is crucial both to provide excellent customer experiences and to avoid developer burnout. The important thing is to make sure your software doesn’t suffer an outage and it keeps performing as expected. And don’t forget, have a happy Thanksgiving!